Dragons are all around us every day, our beautiful dragonflies, they flit around and get on with their business whilst we rarely look twice at them. Upon closer inspection, we see that they have beautiful bright colours of molten gold, electric blue and bold green and yellow. 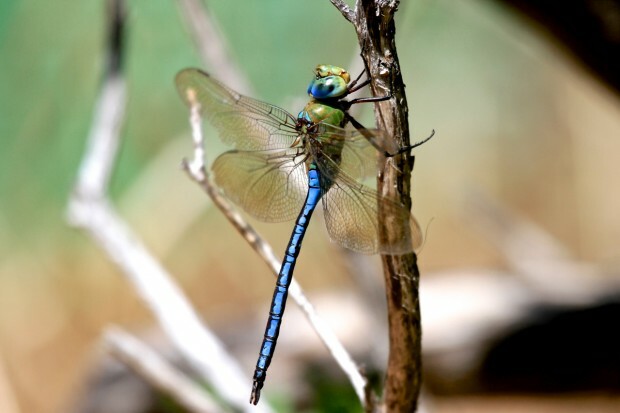 There are various varieties of dragonfly which fall under the order of Odonata, these include damselflies and dragonflies. 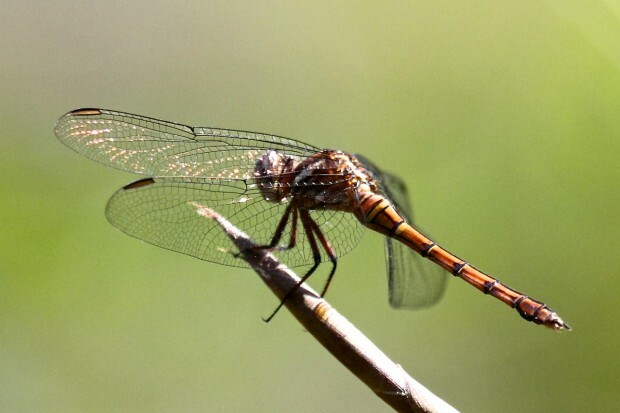 Dragonflies are normally found around rivers and waterways. 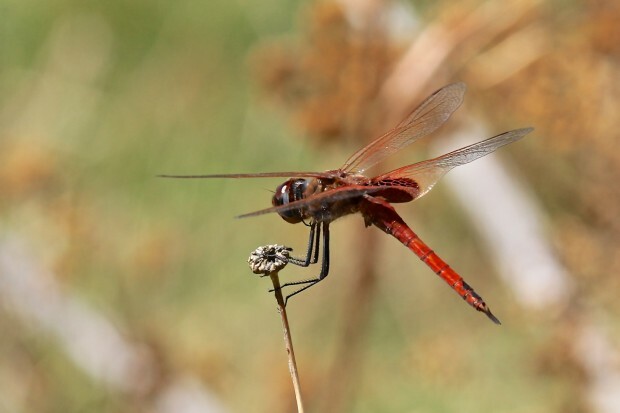 Dragonflies varieties include club tails and skimmers. The Blue Emperor adult is a migrant appearing from October to June, they have a very large wingspan of 105mm. Blue Emperors prefer standing water where females settle on waterlilies in which they insert their eggs. 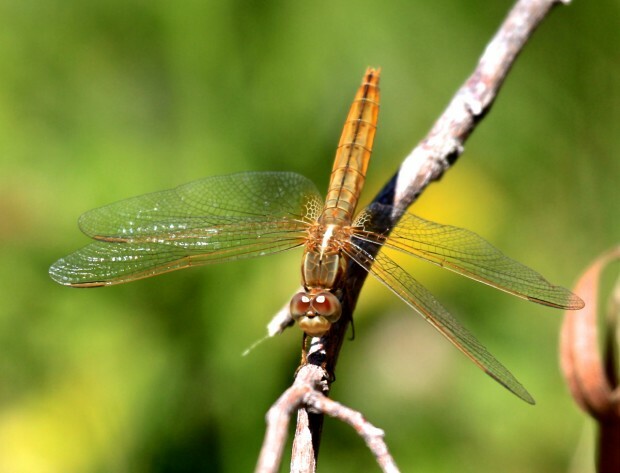 They frequently prey on other dragonflies and smaller insects. The Red-veined Dropwing has a wingspan of 58mm. Males have red bodies and females a shiny yellow colour. They settle on reeds or plants with their wings forward and downwards. 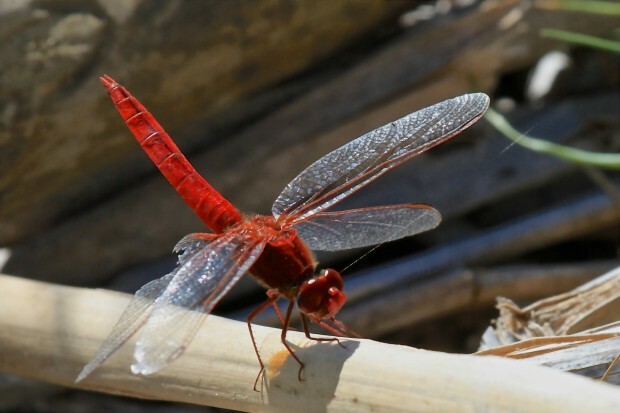 Red-veined Dropwings are found on most aquatic areas from rivers to brackish pans in arid regions. 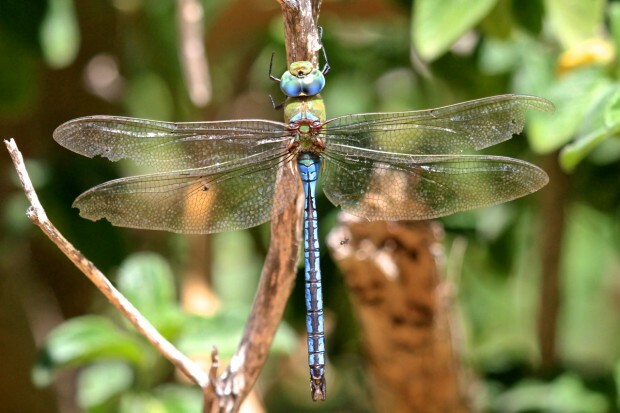 This is one of the most common dragonflies with its region extending throughout Africa and into the Mediterranean. The Wandering Glider has a medium to large wingspan of 80mm. It is an orange-yellow colour often with amber patches at the tips of the wings. Wandering Gliders frequently migrate and are found in most waterbodies in all parts of Africa and are extremely widespread with their range extending to Asia, the Americas and Australia. Have a closer look next time something flies past you, you may discover a real gem you will however discover a dragon of great beauty.